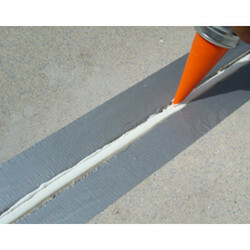 Type: Epoxy Urethane Based Joint Sealant. TRIKOL EP 1000 is a unique two part Epoxy sealant which cures to form a hard wearing seal, designed to accommodate small amounts of movement in extension but considerable movement in compression. By keeping track of current market development, we are into offering an excellent range of Epoxy Sealant. - Consumtion : 4mmx10mm , 120to 150gms per RM. LIKE WALL, SEALING ROOF TOP, FLOOR, BASEMENT, INDOOR & OUT DOOR APPLICATION. Leveraging on our affluent industry proficiency, we provide Epoxy Expansion Joint Sealant Filling Service. - Consumption : 4mmx10mm , 120to 150gms per RM. 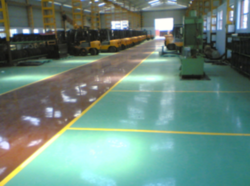 Being a quality oriented entity; we are involved in providing Epoxy Sealants. Besides, we offer this product at nominal rates. It is a two part, pourable, self leveling, polysulphide based joint sealing compound consisting of base compound containing a liquid polysulphide polymer and second part being an accelerator containing a curing agent. After mixing, the compound cures to form a tough, rubber like material with excellent flexibility and outstanding resistance to weathering water, salts, oils, mild alkalis etc. We are reckoned amongst renowned companies for manufacturing, supplying and trading a wide range of Epoxy Putty. The Epoxy Putty of our company is used in construction, repairing and many more applications. It Protect the screw & bolts used in trawlers. The sealant is applied on the top of the bolts which are made of mild steel which are used in fixing the planks. The sealant protects bolts corrosion from sea water as well as copper compound leaked out from anti fouling paint. Therefore increases the life of the bolts also protect the wood to remain in shape. - Available in 125 gms & 100 gms packing. - Jamseal: It is strongly used in manufacturing murals & decorative items & idol (ganesh or any goddess mural). 1. Repairing flush tanks, cracks in casting . Wooden doors sealing leakage in transformers.